Here’s everything you need to know about String Theory, one of the most spectacular (and controversial) physics theories ever developed. A theory with 26 dimensions, objects with imaginary mass that could ruin the very physics of our universe, and the notion that particles and forces are only excitations of vibrational modes—string theory, and all that it entails, is mind-boggling. However, how can it possibly work? After all, we only experience four dimensions (three of space and one of time), so 26 dimensions is 22 too many. That’s where “superstring theory” comes in. cm in length (that’s pretty amazingly small). In the eyes of a string theorist, all universal constituents (fermions, quarks and leptons, hadrons, bosons, and force carriers [such as photons]) are defined by the vibrational mode (and usually orientation) of its string. Traditional string theories include two kinds of strings, open and closed. Those that are open generally have endpoints, which vary in length. Closed strings, on the other hand, have no endpoints and are generally circular in nature (unless, of course, they are in a vibrational state). Ironically enough, some string theories contain open strings, but all string theories require closed strings. Different levels of magnification of matter (1-5), ending with the string level (6). Image credit via MissMJ, Wikimedia Commons. Steven S. Gubser, a physics professor at Princeton University, and author of The Little Book of String Theory, sums up the theory rather nicely, asserting that, “String theory aims to be a unifying picture, where each [particle] is a different vibrational mode of a string”. A string’s “vibrational mode” is only a fancy way of identifying the manner in which it oscillates. Here is a theoretical example: if a string vibrates (or wiggles) in one manner (a), it could exhibit characteristics of an “up” quark. If a second string is introduced with the same properties, we now have two (a-vibrational) strings, or basically two “up” quarks. However, when a third string that vibrates in a rather different manner (b), acts as a “down” quark, the resulting interaction simplifies as (a+a+b)* or two up quarks and one down quark. The result of two up quarks and one down quark produces a proton. *(While the plus sign “+” is a literal mathematical interaction, it can be seen as the interactions between the new “quarks,” and effectively acts as a string/particle itself! String theorists call these gluons (g), which are responsible for the strong nuclear force and cannot exist independently (free) from such quantum systems). Looking at it backwards: a proton is a composite particle (or hadron) built from two up quarks and one down quark, each quark being a manifestation of the string it represents. String theory, while prestigious in many facets—especially in quantum mechanics and cosmology—does indeed carry flaws that can turn the universe inside out. It offers a sound hypothesis of interactions on the quantum plane, from what quarks are made of to the long sought-after graviton (which mediates gravitational interaction, a massless particle with an integer spin of +/-2). 1) “Bosonic” string theory (the original string theory) does not permit fermions (protons, neutrons, etc. ), only force carriers (bosons, hence the name “bosonic”), which contradicts the universe’s observable function. 2) Twenty-six dimensional spacetime MUST include the “tachyon.” (While Star Trekfans might jump for joy, tachyons are anything but beloved to string theory. They have properties of negative mass (which basically means imaginary mass, and are prone to an instability that scientists have dubbed “tachyonic” in nature). And constituents of the universe with negative or imaginary mass make certain aspects and measurements of the universe imaginary themselves. That’s where superstring theory comes in. The “super” in superstring theory simply means “supersymmetric,” implying that particles in the Standard Model have supersymmetrical partners, or “superpartners.” Examples of superpartners include the s-higgs (or shiggs) for the Higgs boson, s-electrons for electrons (selectrons), and s-quarks (you got it…. squarks) for quarks and so on. 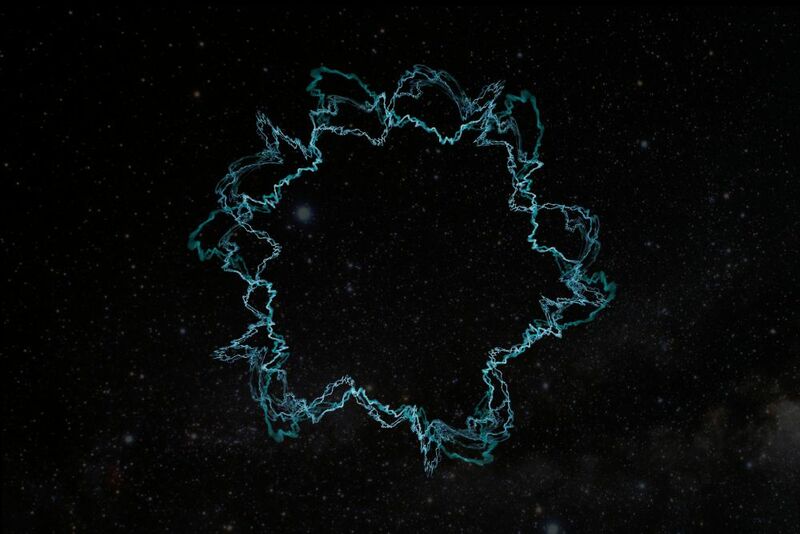 One of the many complex aspects of superstring theory is branes. These are like strings, but they can have any number of dimensions of a spacial extent. Most of these objects are noted to be covered in unique event horizons and can vary in dimensions (and structure): from point particles, to torus and/or tubular in shape, to multi-dimensional structures that would take very complicated mathematics to envision. The study of these structures is known as “brane cosmology.” And just like with the electron, the positron, and many more particles predicted to exist decades before actually being found, superstring theory offers a very prosperous insight on branes, strings, and models for quantum gravity. That said, the superpartners remain undetected. And although there is a lot of promising research being done at the Large Hadron Collider (LHC), the superpartners of observed standard model particles are expected to be far more massive, thus requiring more energy than the LHC can provide; meaning superpartners, if they do exist, are currently beyond our technological grasp. In the end, superstring theory will have serious trouble thriving without these supersymmetric particles (and yes, they’re called sparticles).